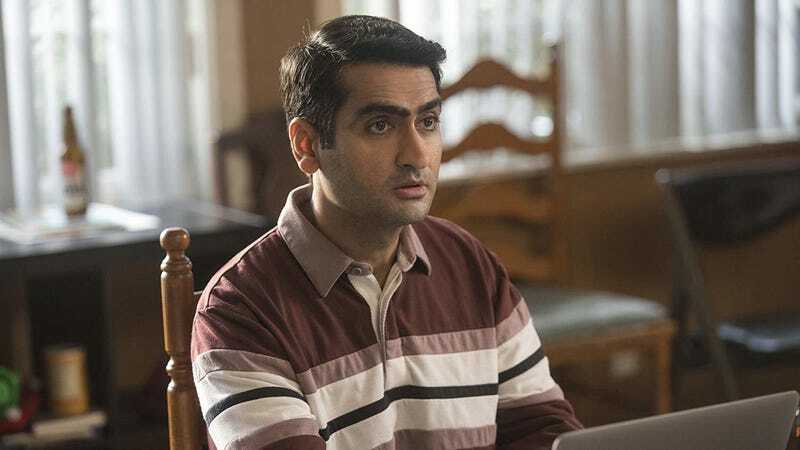 Kumail Nanjiani, seen here in Silicon Valley, may be joining the MCU. Kumail Nanjiani—who appears in the new Twilight Zone; was just announced to be starring in the adaptation of time-travel tale Any Person, Living or Dead; and will soon be seen with Drax himself, Dave Bautista, in the action comedy Stuber—may be joining the cosmic Marvel film. It’s set to be directed by Chloe Zhao and Angelina Jolie is also believed to be a part of it. The Hollywood Reporter broke the news and says The Eternals is one of two Marvel movies likely to go into production later this year. (The other is likelty to be Black Widow, which recently added Hellboy and Stranger Things star David Harbour, with Oscar winner Rachel Weisz also circling the project.) There’s no word on who Nanjiani would be playing in The Eternals, so let your Marvel casting dreams run wild. Until Avengers: Endgame comes and goes, Marvel will remain quiet on all the specifics of these future films, which will make up Phase 4. That’s because, if the studio officially announces films like Black Widow or Black Panther 2, it could be read as a confirmation those characters survive the upcoming finale. However, with casting news breaking on Widow and Eternals, it seems a likely bet they could be the two as-yet untitled Marvel movies currently scheduled for release in May and November of 2020.